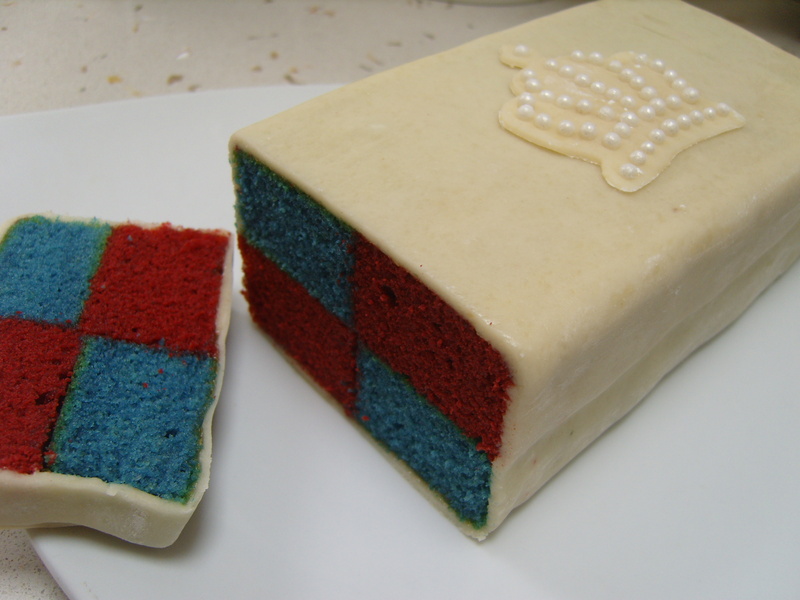 Based on a traditional Battenberg recipe on the BBC Good Food website, this version is inspired by the suggestion of my youngest son and is perfect for a Jubilee party. Did you know the Battenberg cake was invented for the marriage of one of Queen Victoria’s daughters to a Battenberg Prince? 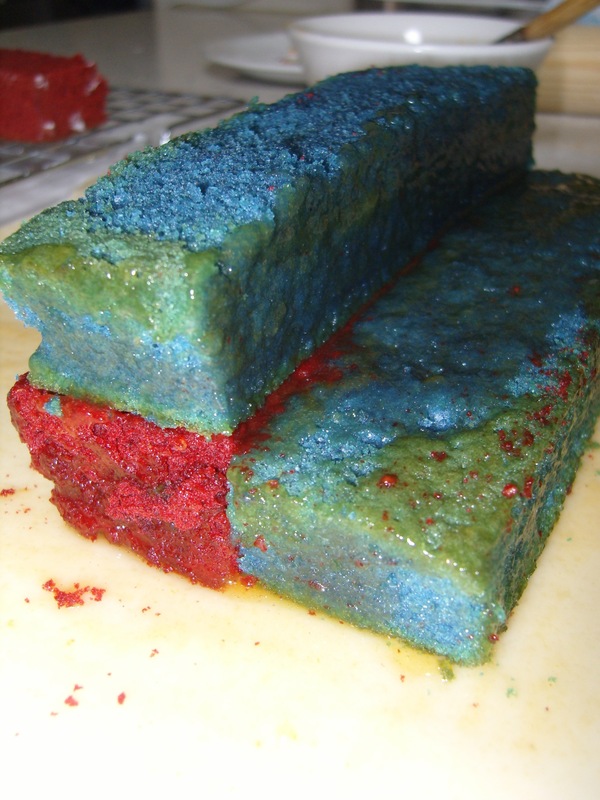 I have avoided making a “Union Jack” with the sponges inside (as I have yet to see a picture of a decent one). 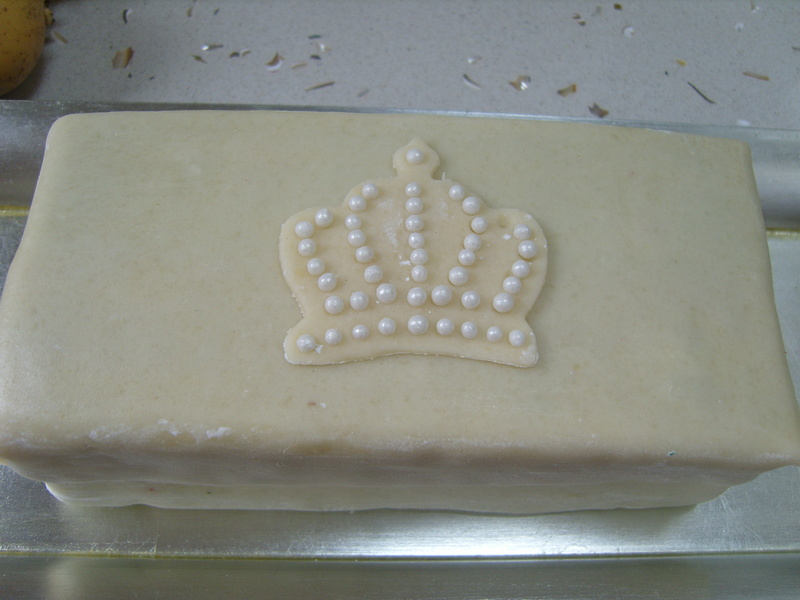 I have been making Battenberg for the Cafe for the past month and it is always a fight to get it away from my children who love the moist sponge & deliciously sweet marzipan – once tried you will forever forgo those dreadful packet ones. There is no reason why you couldn’t leave out the almonds altogether and colour & flavour the sponges to your own tastes using jam to match. I think I shall be making a chocolate/orange one for Halloween! Watch this space! 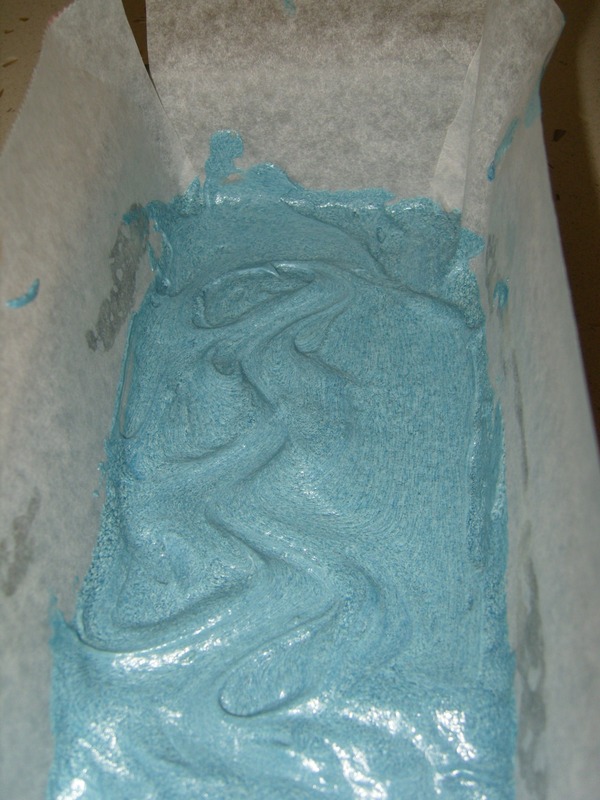 Put half the mixture (approx 315g) into a separate bowl with a few drops of Almond essence & blue food colouring. add 10g cocoa powder (optional) and red food colouring. AN IMPORTANT NOTE ABOUT FOOD COLOURING: you must not skimp on the colouring or you will end up with a pink & green cake!!!! 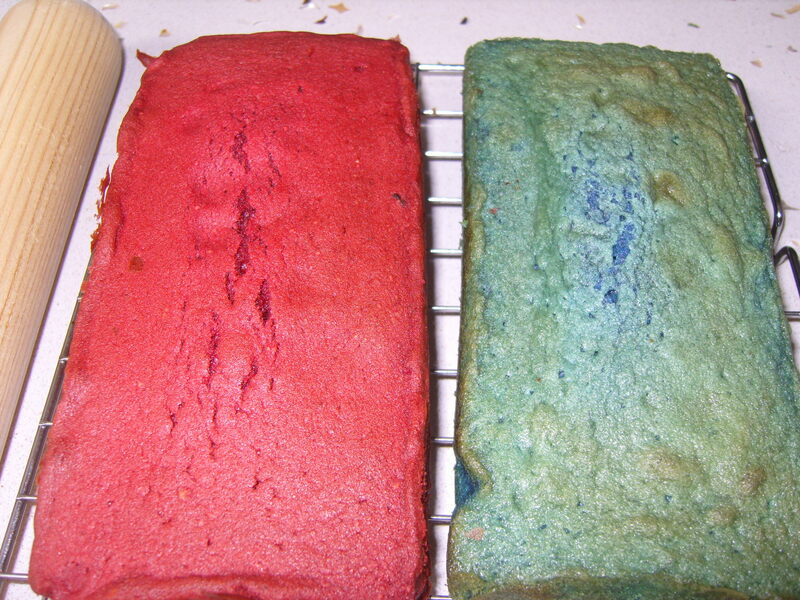 Make sure you have a definite colour before you bake. 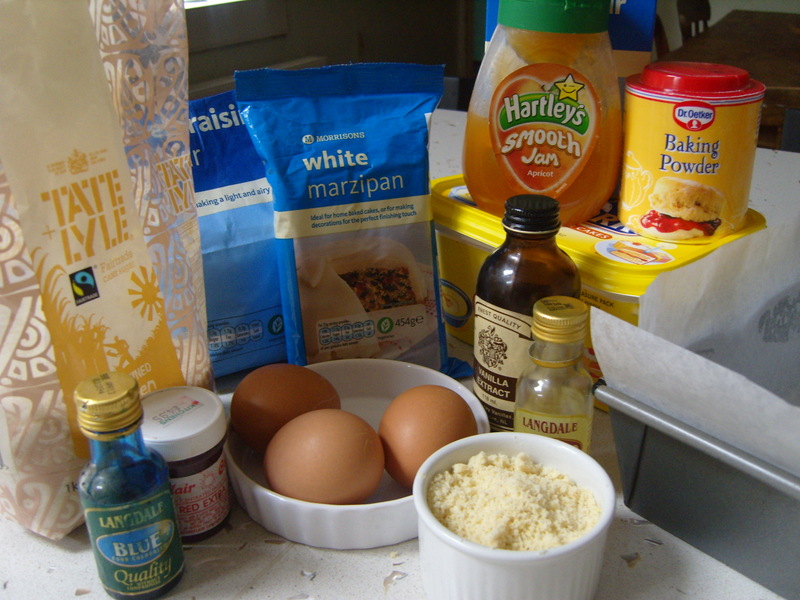 (If you add cocoa to the red sponge it will go darker with cooking – like a red velvet cake. If you want a brighter red then leave it out). 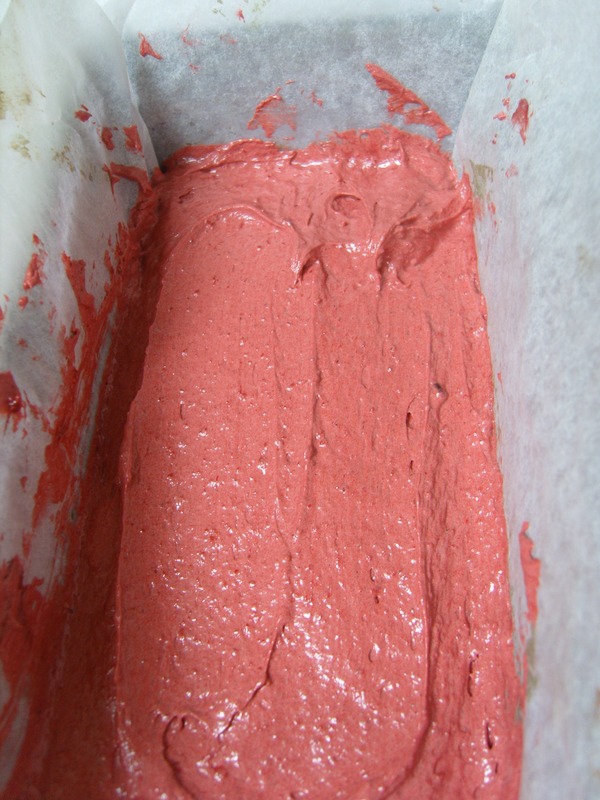 This means that paste colourings work far better than liquid as the mixture will become too runny. Put the mixtures in to the loaf tins and place in the oven to bake for about 15-20 minutes until an inserted skewer/toothpick comes out clean. Leave to cool in the tin for 10 minutes then turn out onto a cooling rack and wait until cold. When the sponge has cooled, take the smallest one first (I rarely get two sponges exactly the same size!) and slightly trim all round the edges. Then cut in half lengthwise (you may need to measure this) & cut both strips level across the top. Put one strip on the other to check the width. 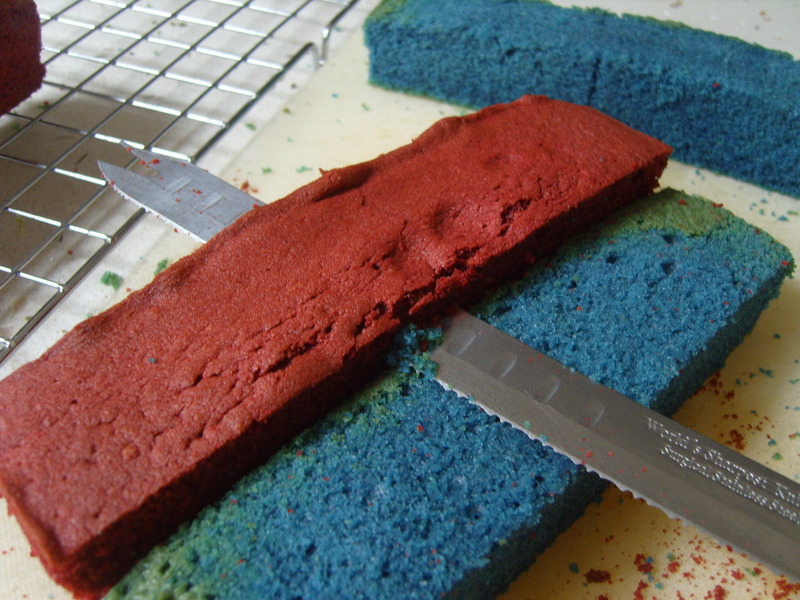 Then take the other sponge and repeat – using your first sponge as a guide. 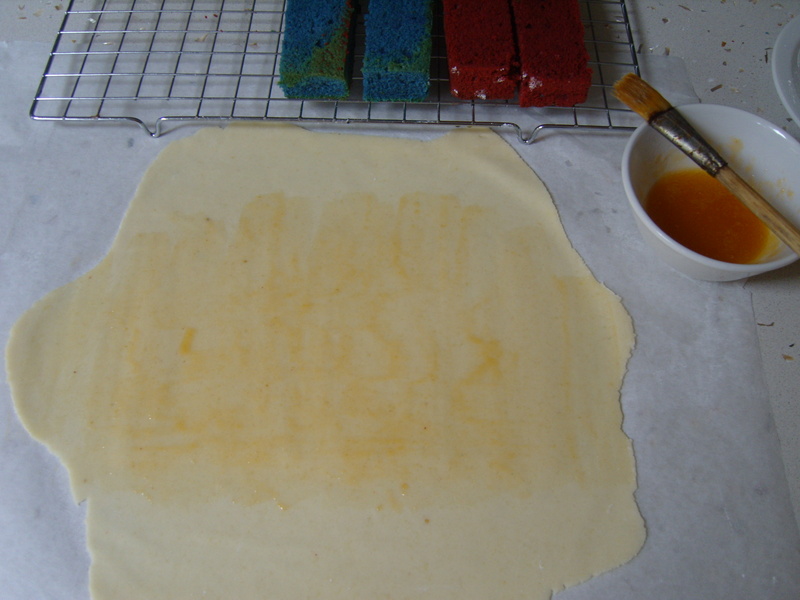 Roll out 500g block of White Marzipan onto a sheet of baking parchment which has been liberally dusted with cornflour. (This is the Naughty Cupboards’ top tip as Icing Sugar makes the Marzipan sticky!). Make sure your marzipan sheet is large enough to wrap completely around your cake and is no thicker than 0.5cm (although I prefer mine thinner). The idea is to assemble the sponges alternately in a square, covering all sides of the strips with apricot jam. Make sure you leave enough marzipan around the sponges to allow you to ‘wrap’ it afterwards. When the sponges are in place, wrap the long edges of marzipan around by picking up the baking parchment and pressing it tightly round and secure the seam at the bottom neatly. Then wrap slightly around the small ends trimming off the excess & fold the last bit neatly and secure to the bottom. 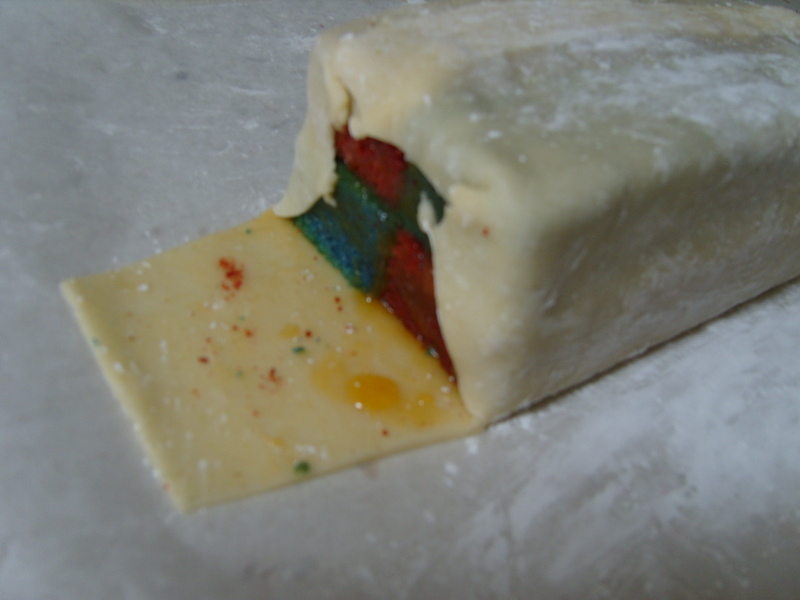 Put cornflour on your hands before turning your finished Battenberg the right way up (or the marzipan may come away with your fingers). 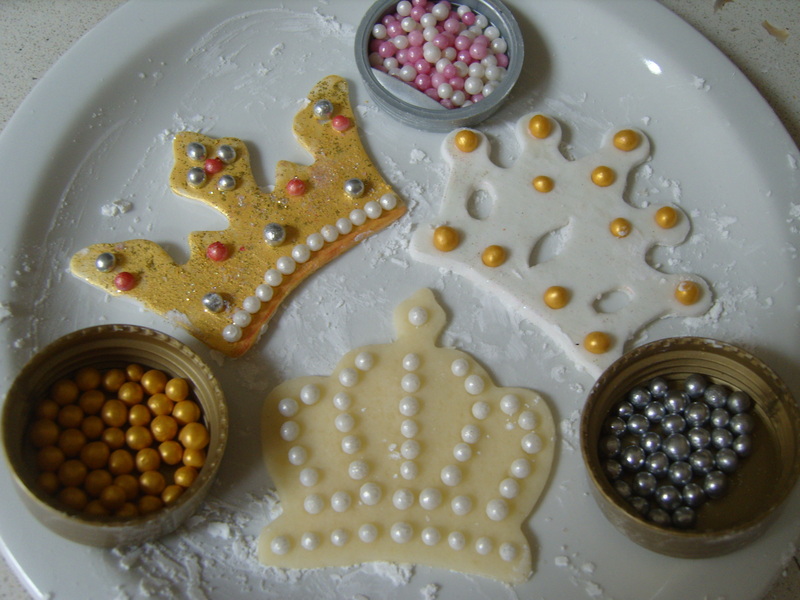 I usually leave mine plain, however I did add a marzipan & edible pearl crown for this jubilee theme. Finally: wait for an audience before cutting!